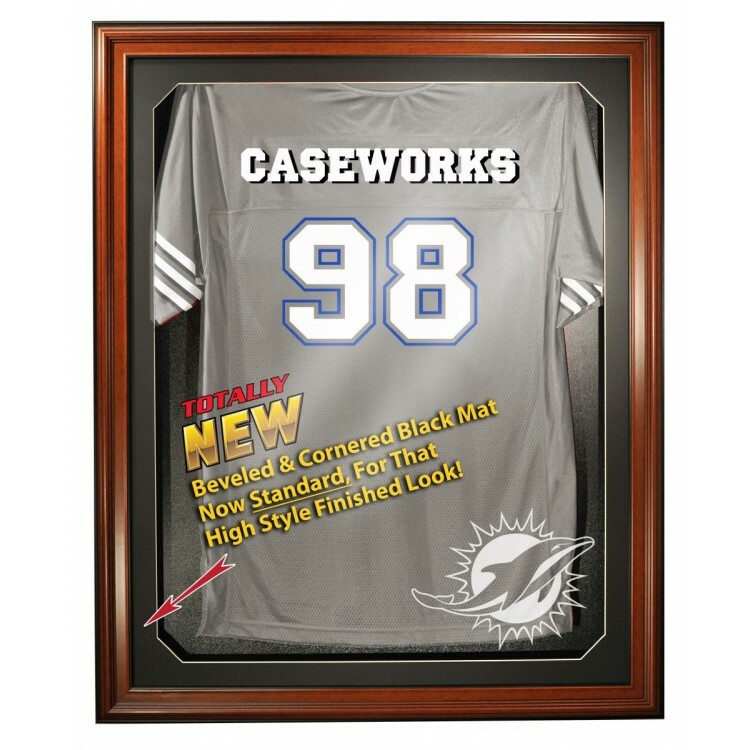 The easy, open-and-close, cabinet style, NFL Licensed, Genuine Brown Wood framed jersey case now includes a custom beveled and cornered 1.75" black mat that will greatly enhance your prized jersey. Without a doubt, the finest display case in sports. Includes your favorite NFL team logo. Measures 42"H X 34 1/4"W X 3"D. Jersey not included. Made in USA. This 8" x 10" photograph has been personally hand-signed by wide receiver Wes Welker. It is official..
Each collectible comes with an 8x10 photo collage that portrays the evolution of the Green Bay Packe.. The Memphis Grizzlies logo cap display case is made of 1/8'' thick acrylic. It features a black acry..
Machine-Made Tufted. 100% Premium Nylon Pile. Made in the USA! Carolina Panthers 2'8"x3'10" NFL Team.. This walnut finished base, football case includes your favorite NFL team logo beautifully engraved o.. This 2013 game-used chin strap was worn by Olivier Vernon. It is officially licensed by the National..
New! Display your favorite Hockey Helmet in our Hockey Helmet Display with Horizontal View. Includes.. Double Play! This beautiful case vertically displays your bat and ball combination. This easy openin.. This game-used jersey was worn by Chris Hubbard during the 2014 NFL season. It is officially license..
Machine-Made Tufted. 100% Premium Nylon Pile. Made in the USA! Arkansas 2'8"x3'10" College Team Spir.. This jersey has been personally hand-signed by Mika Zibanejad. It is officially licensed by the Nati..